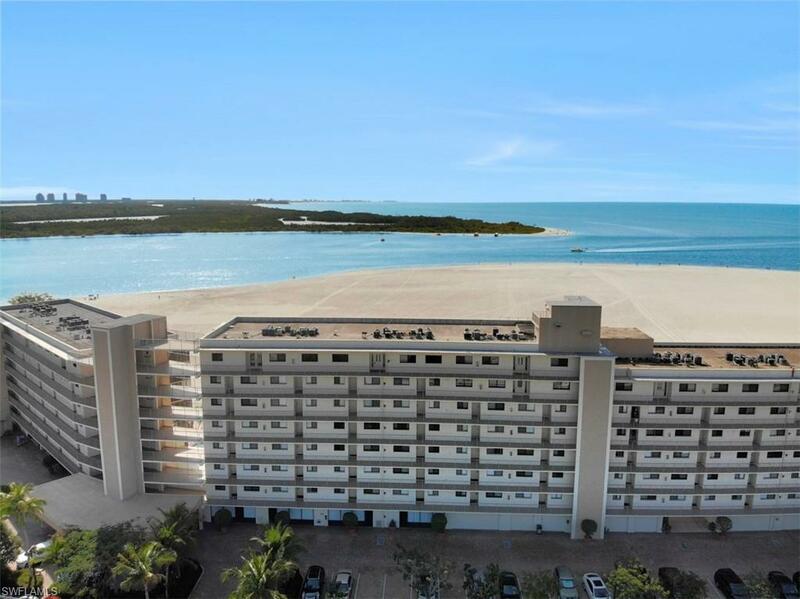 DIRECT BEACHFRONT TOP FLOOR UNIT! 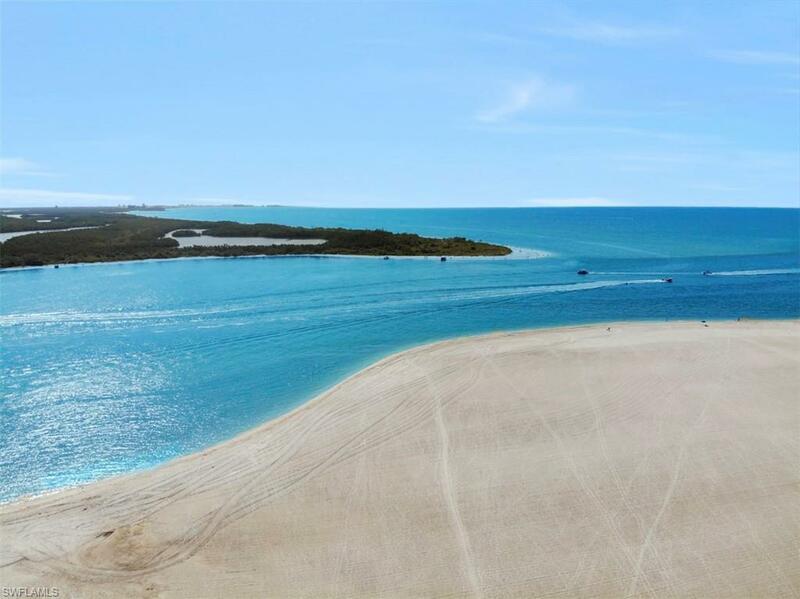 Enjoy wonderful breezes and gorgeous views of the Gulf of Mexico, Lovers Key and Big Carlos Pass. 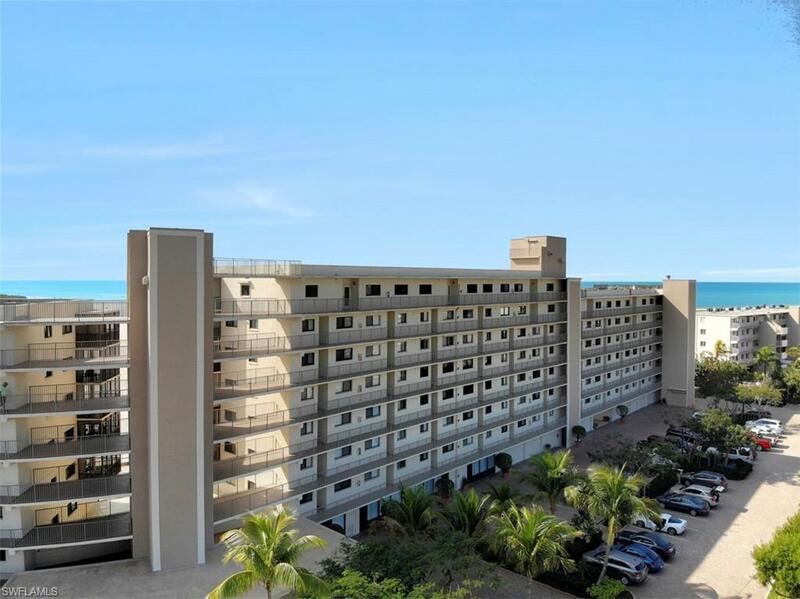 Enjoy direct balcony sunsets over the Gulf and the great afternoon sun from this 6th floor, 2-bedroom, 2-bath unit with in-unit washer and dryer. Carlos Pointe has a heated pool, shady picnic area, tropical landscaping and pavered parking lot. 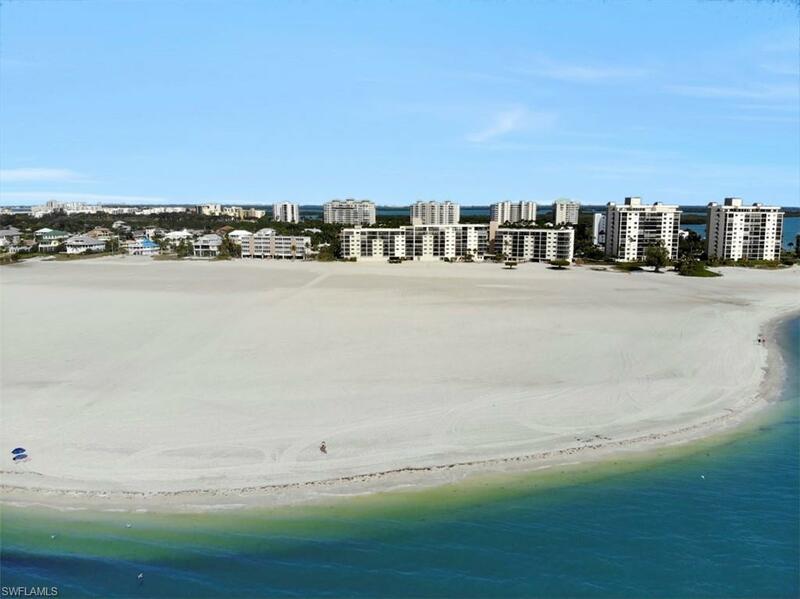 Located on the wide Southern tip of the beach places you within easy access to the restaurants and shopping in Bonita Springs, Estero, and Naples. When not enjoying it yourself it's easy to rent with weekly rentals allowed or buy now for your future retirement and let the tenants pay it off for you. Possible owner financing with significant down payment. Association is putting a new roof on this year with no assessment. Listing courtesy of Mike Darda of Compass Florida Llc. © 2019 Florida Gulf Coast Multiple Listing Service, Inc. All rights reserved. The data relating to real estate for sale or lease on this web site comes in part from FGCMLS. Data deemed reliable but not guaranteed.IDX information is provided exclusively for consumers' personal, non-commercial use and may not be used for any purpose other than to identify prospective properties consumers may be interested in purchasing. Information is deemed reliable but is not guaranteed accurate by the MLS or Palm Paradise Real Estate. Data last updated 2019-04-20T16:22:20.697. The data relating to real estate for sale on this limited electronic display come in part from the Broker Reciprocity Program (BR Program) of M.L.S. of Naples, Inc. Properties listed with brokerage firms other than Palm Paradise Real Estate are marked with the BR Program Icon or the BR House Icon and detailed information about them includes the name of the Listing Brokers. The properties displayed may not be all the properties available through the BR Program. The accuracy of this information is not warranted or guaranteed. This information should be independently verified if any person intends to engage in a transaction in reliance upon it. Data last updated 2019-04-20T16:25:11.76. Some properties that appear for sale on this website may no longer be available. For the most current information, contact Palm Paradise Real Estate, 239-349-2487, bouncedemail@boomtownroi.com. Licensed in the State of Florida. The data relating to real estate for sale displayed on this Website comes in part from the Multiple Listing Service of the Bonita Springs-Estero Association of REALTORS®, Inc., under License No. 3035763. Properties displayed on this Website include properties listed with brokerage firms other than Palm Paradise Real Estate. Detailed information about such properties includes the name of the brokerage firm with which the seller has listed the property. The properties displayed may not be all the properties listed with brokerage firms participating in the Bonita Springs-Estero Association of REALTORS® Multiple Listing Service, or contained in the database compilation of the Bonita Springs-Estero Association of REALTORS® Multiple Listing Service. Data last updated 2019-04-20T16:28:17.21.